A go-to, get-it-done person who stays the course and makes it happen. Kim and I have worked together for over 25 years for Multiple Birth Canada. During this long period, she has played an invaluable role. Simply because someone is volunteering does not necessarily translate into worth or dependability. In Kim’s case, however, I can affirm that she always followed through and made a difference. She is highly competent, reliable and committed in whatever task she undertakes. These are invaluable talents in a volunteer that contribute significantly to organizational capacity. Hence, based on this long and positive experience, I am delighted to recommend Kim’s services. Kimberley is a thoughtful, efficient and competent Virtual Administrator. She stands out not only because of her outstanding work, because her work is wonderful, but also because she communicates so well about how long projects will take and delivers on time. As a business owner, I know I can count on Kimberley to deliver her services. She is committed to your success and provides her professional services to get you results in your business. I strongly recommend Kimberley if you want to grow and develop your business. Kim is absolutely amazing. She has helped me navigate through so many social media situations. I don’t know what I would do without her. I highly recommend her services. TSEvents is a Toronto-based publishing company serving the information needs of the dynamic event industry in the GTA. We needed a social media professional to engage with our audience of event planners and to promote our advertisers – event suppliers. Enter Kimberley/Beyond Your Office. Kim caught on to our industry in no time and quickly became part of our team. She is organized, creative and pro-active. She’s a whiz when it comes to sharing our editorial content and in creating posts to promote our advertisers. Our audience is growing under Kim’s management and we couldn’t be happier with the work she does. It is without hesitation that I give Kimberley and Beyond Your Office a testimonial based on our experience and the results that she has produced for The Howes Group. We work in a very fast-paced environment and at the time that we met Kim, the need for her assistance was critical. Without hesitation, Kim ramped up to our pace seamlessly, which was very impressive. With her background, expertise and talent, she delivered immediately. It has been now just over a year that we have had the privilege of working with Kim and we consider her to be an integral part of our team. The quality of the work she delivers is important to Kim. She cares. We trust her to interface with our clients directly as well as our partners. These two groups are very different and she has the ability to tailor the messaging to suit the audience. Kim represents us and our brand so well as she also believes in delivering exceptional service to clients. 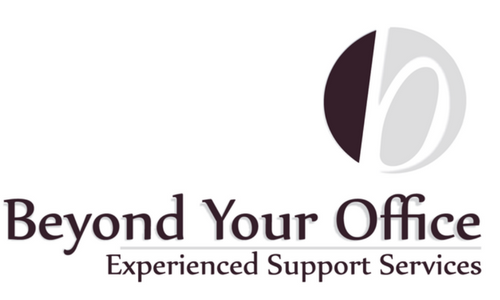 Our experience with Kimberley from Beyond Your Office has been amazing! She is beyond competent, reliable, trustworthy and delivers when she promises. Her creative and common sense approach to our projects is invaluable. She always has the customers’ needs in mind and offers helpful input when needed. Kimberley is professional, approachable and pleasant to work with. I would highly recommend her services. Kim is amazing! It is like she is an employee of your business! Well the kind of employee you’ve never had. She thinks of things before you ask and you never have to ask her when she will deliver what you tasked her… because as you are wondering when you might get it… it arrives in your inbox. Kim is straight up about what she knows how to do, is willing to learn how to do and what should be outsourced to someone else! Kim has been a great support, taking on a good chunk of the social media tasks for this tiny non-profit. She is friendly, professional and often one step ahead reminding me of what needs to happen soon. Hiring Kim has been an efficient use of our limited resources.